We honour what the plants and bees were designed to do and thus minimally process the bounty to preserve its natural goodness. Our honey is small-batch extracted, using only gravity to move it through the extraction process. 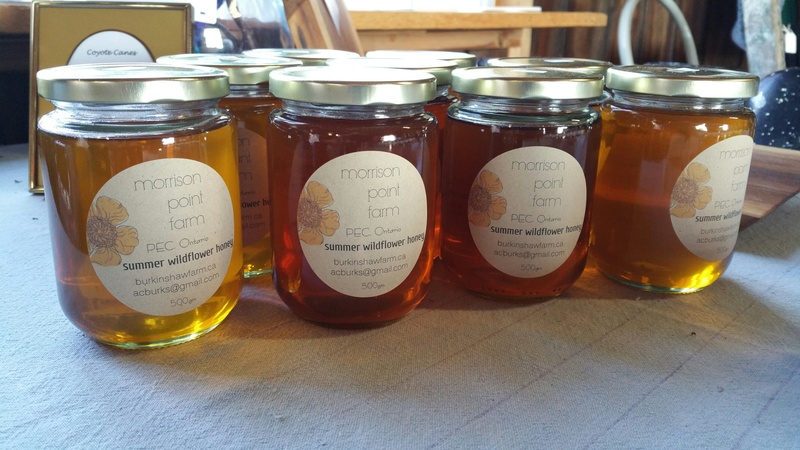 Our honey is completely unheated, so that all the natural flavours and nutrients are intact. We place our hives in locations where the bees will find their primary forage from wild, unsprayed blossoms, seeking their health and ours, in avoiding chemical contaminants. Our bees forage in fields, forests and edge lands which are far away from crops sprayed with chemicals. We are honoured to bring this product to you and hope that you enjoy its goodness. 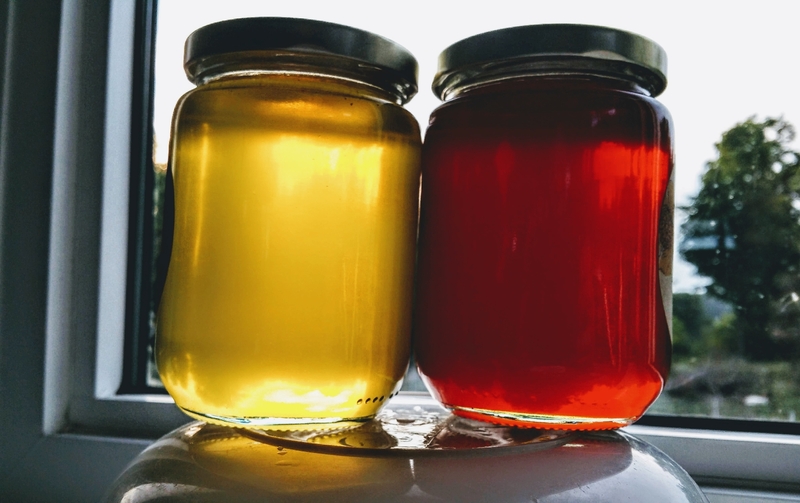 Also Spring and Autumn honey in season. Many of us would argue that honey comb is one of nature’s most wonderful treats! 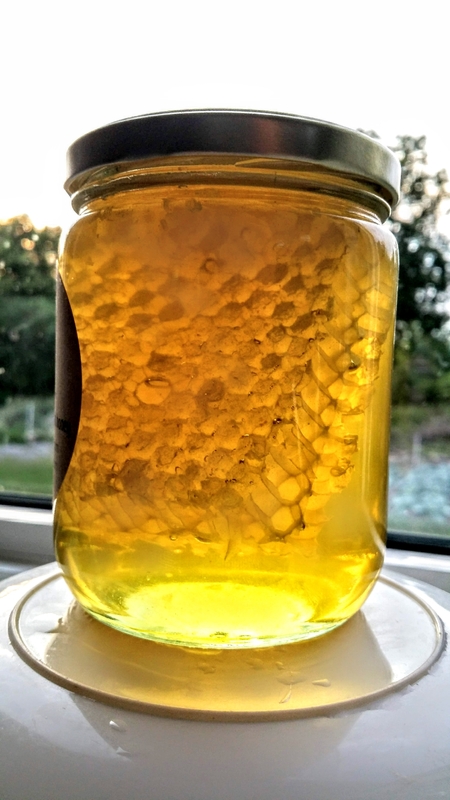 We now offer a generous chunk of honey comb in a 700 gram jar of honey. 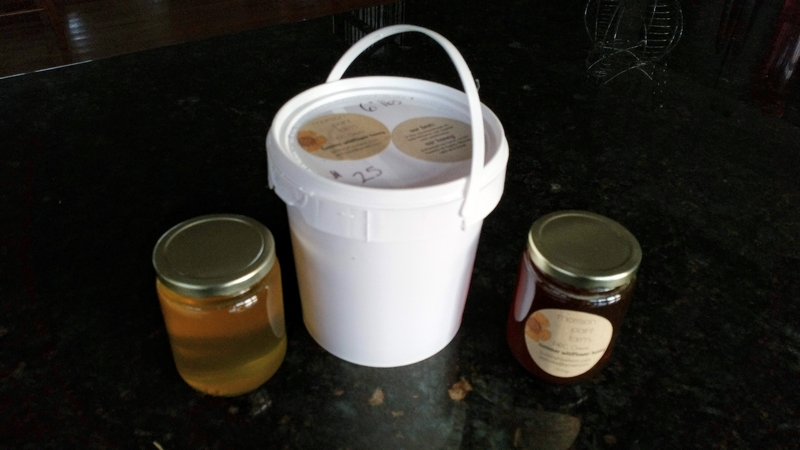 11 pound pails of honey for $40. That is a bargain at $3.64 per pound! (We still have some 11 pound pails available). 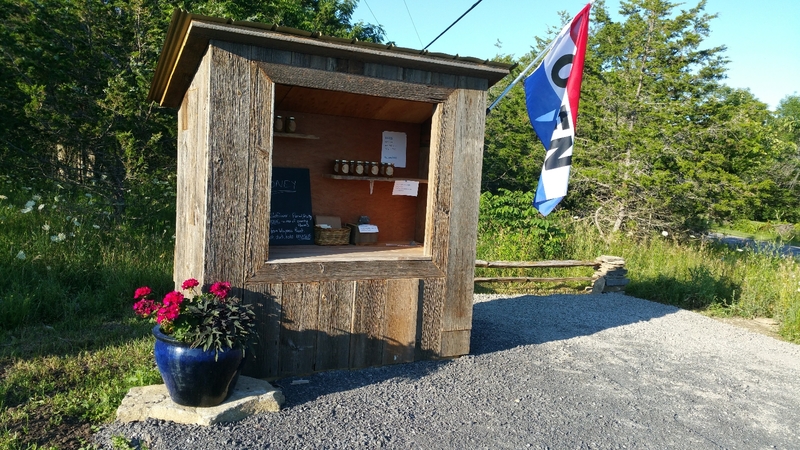 The Honey Shack (open 24-7 even in winter – cold does not harm honey!). On our driveway at 573, Morrison Point Rd.